You’ve heard about inbound marketing and have decided that is something that your company needs to start doing to adapt to the ever-changing online marketing landscape. Long-term customer loyalty and increasing the rate of re-purchasing means acquiring qualified leads that are invested and ready to purchase. Improving customer engagement to increase long-term customer loyalty and the rate of repurchasing are things all digital marketing campaigns should focus on achieving, but you need an inbound marketing game plan that reaps the rewards mentioned above. Inbound marketing draws its strength from in-depth planning, research and data. You need a plan of action to maximise your inbound marketing strategy otherwise you’ll waste your time. An inbound marketing game plan is important because you need to understand how you’re going to convert those potential customers you’ve attracted into leads, turn those leads into customers and delight those customers, turning them into the ultimate promoters of your business. What I’m saying is I will take you through the inbound marketing process and it always starts with a situational analysis. A situational analysis is an integral part of the research and planning phase of creating an inbound marketing gameplan. It helps you understand the internal and external factors that affect, customers, how your company operates, and the business environment. It helps you understand your companies situation in the here and now. As part of understanding the above, you need to define the who, what, where and why of your company right now. You need to look at what you are doing with all the tools already available to the business. You can’t come up with an effective game plan until the business has looked at its own situation within its given marketplace. What makes the business special? Is there something that you do better than anyone else? Is there something your business could be doing better? These are the type of questions that form part of your businesses situational analysis and are important to your inbound marketing process. A part of the process of assessing your own business is also looking at what your competitors are doing. Your competitors are external factors that affect your company and the business environment. Questions you need to consider are: do they do things differently than your business? What do they better than your business? What do you do better than them? This leads to some insights into how you can beat them when creating your own inbound marketing strategy. You’ve put your companies current situation under a microscope. Now we can start looking ahead to what types of outcomes you want to see from your inbound marketing campaign. This means target or goal setting. Time to define your marketing goals. Every marketer worth their salt knows that they need to define what their goals are going to be. They also know that those goals need to be SMART: specific, measurable, attainable, realistic, and time-bound. The ultimate goal of inbound marketing is to increase customer loyalty and re-purchasing through improved customer engagement so as stated above the objectives you set for your companies marketing goals need to be measurable against the ultimate objective of your inbound marketing gameplan. For example, let’s pretend you run marketing for a car company and you define a lead as a someone requesting a test drive. Let’s then say your goal would be to create 15 qualified leads per month for the sales team of your car company. Does that look like a SMART objective and something that inbound marketing can do for you? Well, your goal is to sell more cars and the objective set out before leads to more cars being sold. You’ve set an objective that can be used to measure the success of your inbound marketing game plan. Once your goals are set you then look to creating the persona/personas of the person you are hoping will be your qualified lead. When it comes to your inbound marketing game plan it is important to understand who you are speaking to. This will be based on all the research you have gathered before this stage. This will include information on what they are searching for online. What their online behaviour is like? What keywords that you have identified are your persona potentially searching for? What are their personal interests? Any details on your persona should be things that influence your customers marketing decisions. Creating a list of questions your persona would ask at each stage of the buyer’s journey is also important in understanding how they approach each stage i.e. the Awareness stage, Consideration stage, and Decision stage which represent the thought process a buyer goes through when making any purchasing decision. By creating a persona you will be putting your company in a position where you’ll be able to create highly targeted messaging that speaks directly to your chosen target audience. This means you’ll be able to generate an inbound marketing gameplan that’s highly specific and accurate. As a company, you have now done all your research relating to where you are, what you’re trying to do and whom you are speaking to. You can start looking into specific ideas of what to include in your inbound marketing gameplan. Now it’s about planning that content. You know what questions your persona are going to be asking so in your game plan you need to create content that starts to answer any of the questions your persona has in the form of exceptional content. The key is that we are providing the exact content your prospects need (not just want) in order to have their questions answered and move closer to making a decision to use your company. This is crucial to your company because this is the stage where you need to be lead nurturing. Moving a prospect along your sales funnel. An intelligent inbound marketing gameplan will reap the rewards of long-term customer loyalty and engagement which you acquire through qualified leads that are willing to repurchase or reinvest. 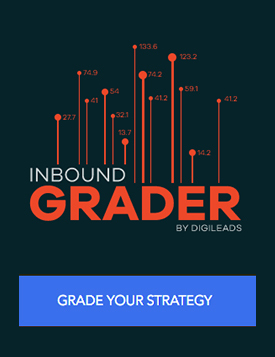 Are you ready to get kickstart your inbound marketing game plan?Take our free online marketing assessment to find out.